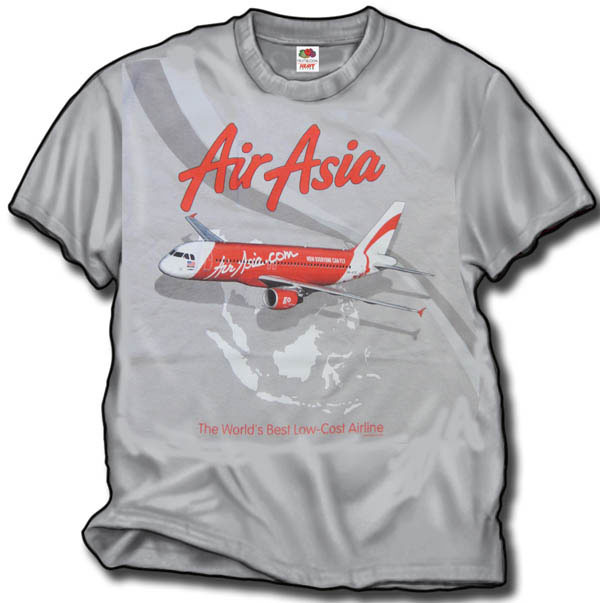 Another version of our Air Asia A319 shirt! Has the map of Asia that Air Asia serves as a background. Very attractive muted colors, not as bold as our red Air Asia shirt. This one on an attractive Ice Gray Gildan 100% cotton heavyweight fabric. Sizes Medium, Large, XL, XXL and 3XL. Ready now!